Intuit has released the QuickBooks 2009 R12 release to manual update. This release affects users of Payroll and Merchant Services primarily, along with a small number of other bug fixes. At the time I’m writing this article there is some confusion on the Intuit update web site. It notes that the R12 update is available, but if you follow the what’s new in this release link, there is no mention of the R12 changes. I suspect that they are in the process of updating the web site and that the details will be listed soon (probably by the time you are reading my article). I have installed the 2009 R12 update and confirmed that it is available, but I have not tested this thoroughly as I don’t use Intuit payroll services or merchant services. It is not clear when this was released to Manual update, or when it will change to automatic update (I expect that will happen very soon). 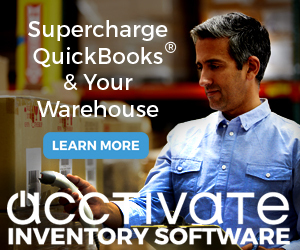 QuickBooks Merchant Services: There are multiple changes implemented to implement the PADSS standards. You will be required to have a strong password if you store customer’s credit card information in your company file. QuickBooks Merchant Services: When reconciling transactions from Merchant Services the subaccount information should now display correctly. 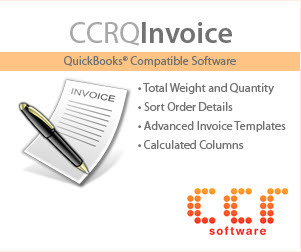 Accountants Copy: In some cases opening a QBX file created by an Accountant’s Copy would display an unexpected error. This should be resolved. Client Data Review: This resolves Unexpected Error Code 19966 66958, which sometimes occurred when troubleshooting account balances. QuickBooks Closing Error: In some cases you would get an application error when exiting QuickBooks. You might also see a Windows message that QuickBooks has stopped working. 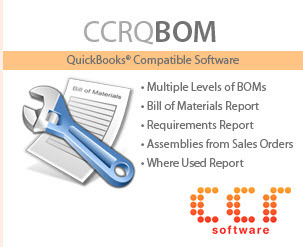 This update resolves this problem (similar problem as was fixed in QuickBooks 20010 R8). Payroll: Setup Error 00013 49033 will no longer display when using manual payroll. Payroll: Income Subject to Tax can now be edited on Liability Adjustment transactions. Payroll: Payroll forms 941, 943 and 944 have been updated to comply with the HIRE act in Assisted Payroll. If you are using QuickBooks Merchant Services or Payroll you should strongly consider getting this update. If the other errors listed are annoying you, think about it. If this doesn’t affect you, there isn’t a rush to get this. How can I download manually. I use bith payroll and merchant service. AND I’ve been getting the closing error also! I tried to manually update from within QB, but “nothing new downloaded.” F2 shows 2009 Pro Release R11P. Searched for a manual download online quickbooks.intuit.com, can’t find antthing. Never mind. Found it. Sorry. Click the button for downloads and updates. You will be asked to select the product that you are using. R12 was offered to me automatically a few days ago, and I accepted it. Now I can’t email invoices — it’s says they were sent, but they never show up. I hope it is just quickbooks being down and not something broken in the new update. Lynn, what is your “send forms” preference set to? Ditto for me Lynn, they are going out but I always BCC myself a copy and have received nothing. QB Pro 2009 updated to R12 Friday a.m., but received QB emails through most of Friday, nothing Saturday or thereafter, so hoping QB has a server issue or something. Send Forms preference is set to “Quickbooks Email”. I don’t use the QuickBooks Email option myself. You don’t have good control over things, and if their server is out you are stuck. I prefer using Outlook (which I use for email anyways), or you can use your own webmail account if you upgrade to QuickBooks 2011. The QB Email option won’t be free for you in a few years, most likely, anyways. Once QB 2009 is sunsetted, you can’t use it without upgrading, AND you only get it for free if you are using one of their other paid services. Problem solved, looks like it was a server issue. I like the QB Email option because I can choose “Send Later” and it saves my text to come back to. With the Outlook option it completely locked up Outlook and Quickbooks until I sent the email (or at least did last time I tried this option) so was inconvenient when engaging in extreme multi-tasking. I use the Outlook option all the time, and on my system it doesn’t lock anything up. Sounds like you had an issue in your system or setup. Scheduling isn’t available, I believe, but that wasn’t a requirement for me. You have to choose the features you want – I prefer more accessibility. And, as I said, your service will expire in a few years unless you upgrade, and when you do you may have to pay a fee to use it (depends on what features you use). In any case, lots of ways to solve it – and thanks for your earlier comment that it was working for you for awhile and then not, you may have hit the nail on the head about it being a temporary service outage. I haven’t heard anything about that at this time, but it could have happened. Cool, will probably check it out again at some point and see how it works with Outlook; may have actually been QBPro2006 or 7 we were using at the time, now that I’m thinking about it. After I downloaded the update, it made me add a “complex” Admin password because of Merchant Services. Now it won’t let me remove the password or disable Customer Card Protection which I don’t even use. Mark, there are new laws and rules regarding credit card and other sensitive info. I haven’t worked with that much as I don’t use Intuit merchant services. You should be able to contact them directly if there is a problem you need to resolve. I just did the install update for r12 and now my 2 other computers cant find the files and they are down 🙁 how do I make sure those two computers are looking for the files in the right place? At the last update of r9 it did the same thing and I had to update where it looked for files. Unfortunatley I cant remember how I fixed this issue last time – can you help? Jessica, you can download a manual update from Intuit, OR you can download the entire product (which would include the patch). For a complete copy of the installer: http://support.quickbooks.intuit.com/support/pages/knowledgebasearticle/1006369 – you would have to uninstall your current product and reinstall with this. Shirley – which particular issues? And what version are you using now?